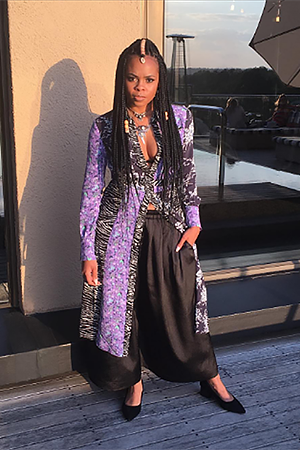 Khomotso Moloto, 29, Sowetan Fashion Editor. Born in Soweto, Diepkloof, I think I first realized that I have a unique or rather a passion for style was when all my aunts would ask me what they should wear at an early age as 10, I've always been very opinionated and loud when it came to such and they listened. I’m inspired by Sade, Janet Jackson in the early 90's and Solange. I would like for black young women to one day see me as someone that helped them unlearn a lot of the self hate the world makes us believe from a young age and for that self love to be seen in how they make daring style moves that break boundaries and stereotypes.